For the first few months that Roo started school she had the exact same thing in the lunchbox, cheese and pickle sandwiches, a youghurt, and a piece of fruit. No matter how much I offered to make something else she always wanted cheese and pickle sandwiches. Now there is nothing wrong with a cheese and pickle sandwich but five days a week is pushing it. Slowly she has increased her options and it varies between sandwiches, sandwich thins, sausage rolls and pasties. One of her favourite lunch box treats has to be my cheese, potato and pickle pasties. These as so simple to make and can be cut into almost any shape so can really cheer up a lunch box. A twist on a tradtional pasty that can be made into almost any shape to cheer up children's (or adults) lunch boxes. Why not try different variations; add onion, leek or even some ham to alternate this delicious lunch time treat. Disclosure: We received a lunchbox and Sainsbury’s gift voucher FOC in order to share our lunchbox treat. As soon as I get my oven I’ll be on this like a mouse on cheese! Oh my, the sound and look delicious. I’ve never thought of using pickle. Oooh now that’s different – I could make that a meal idea served with potatoes and veg too. I love the idea of pickle in a pasty! 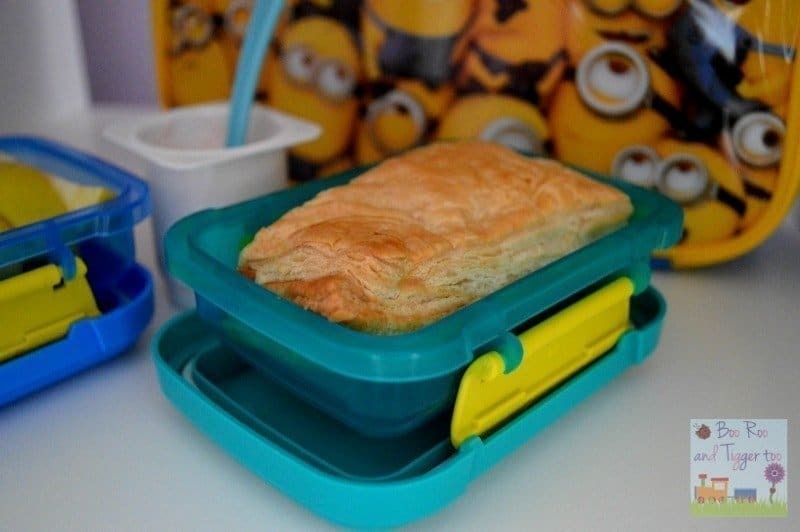 I don’t have to do lunch boxes any more – but these would be great for a picnic – may have to have a go! I LOVE pasties but have never attempted to make them before. You make it look so easy it may be time to change that! My oldest loves pasties – I never thought of putting pickle in them though – great idea! Great recipe. I will for sure attempt to make some shortly.